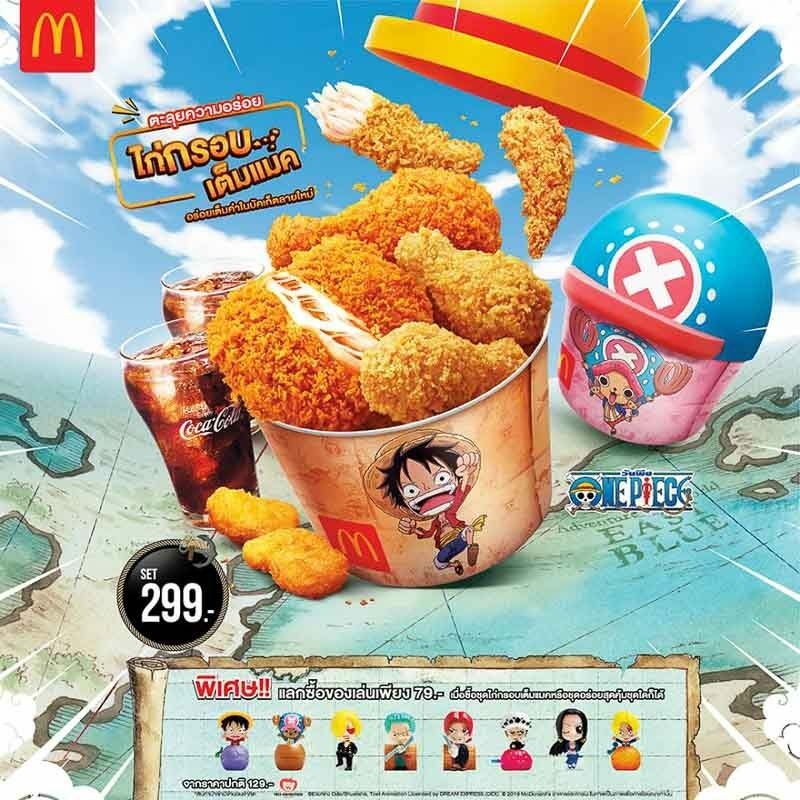 Fans of the manga series, One Piece, will be thrilled with the latest news released by McDonald’s Thailand. 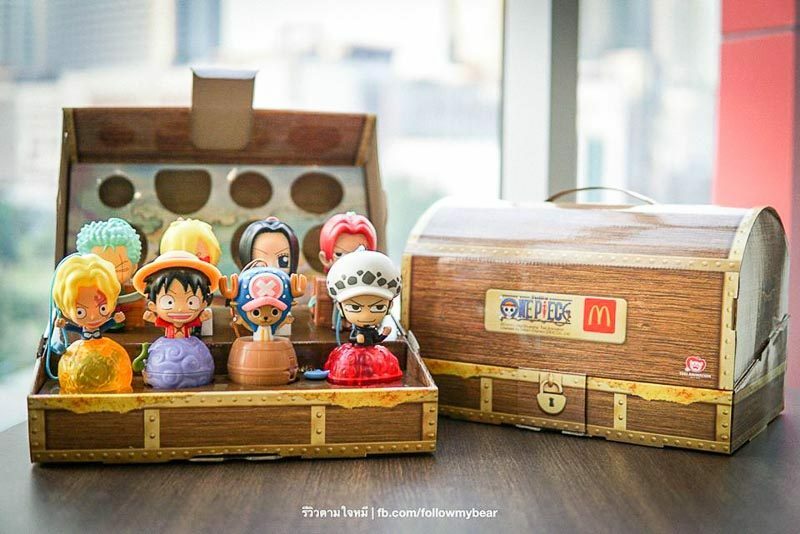 They have recently launched limited edition One Pieces buckets and collectable figurines from now till 26 February 2019. The buckets are free of charge with every meal purchase. For THB299, you will be getting two McFried Chicken, two McNuggets, two Chicken Sticks and two 16oz drinks. You can choose from either a predominantly bright and neutral coloured yellow bucket with Luffy printed on the front, or a more pastel-toned pink and blue bucket featuring Tony Chopper. The buckets are not just meant to be used to put your meal in it, they can be used as a piggy bank after as the top of the buckets come with a slot for inserting money. The eight collectables figurines are priced reasonably at THB79 each with the purchase of a bucket meal. For those who are trying to watch their waistline, do not worry. You can still purchase the individual figurines for THB129 each. The toys are not only for decorative purposes but they double up as either a cord wrapper, a phone stand, a mini mirror or even as a light source. McDonald’s is sure doing a great job of creating multifunctional collectables. If you’re planning to purchase all eight figurines, the treasure chest (THB1,399) is perfect to display them. 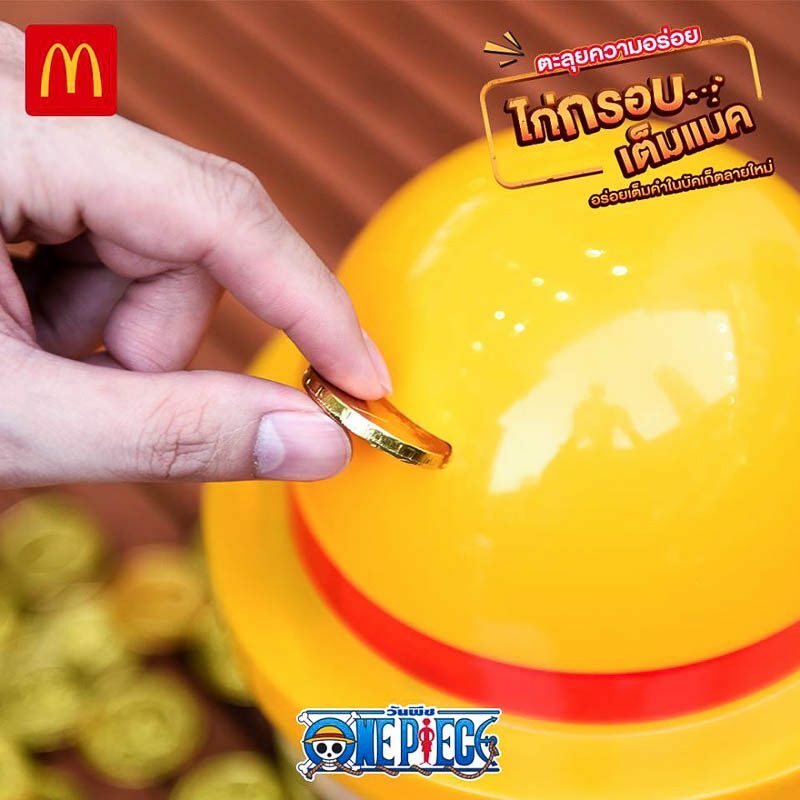 On top of that, buyers will also receive a McDonald’s X One Piece gift card with THB500 value loaded in it. Yet another reason to continue visiting McDonald’s! 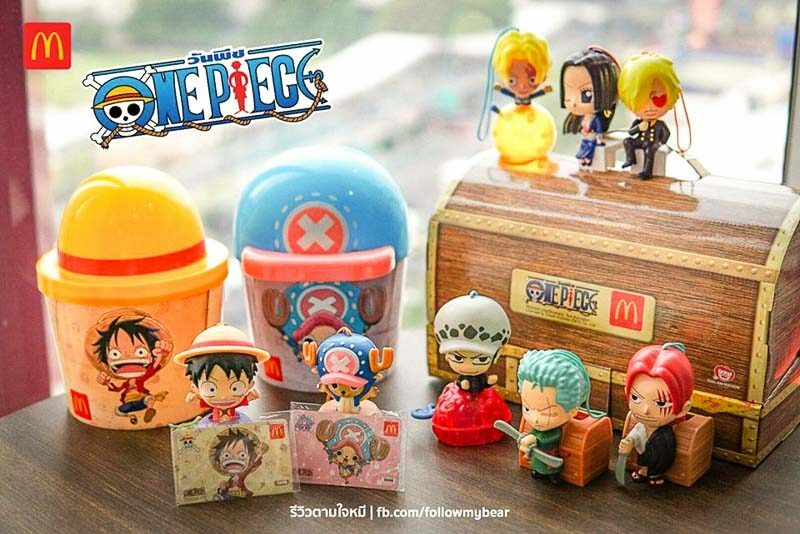 Those who have upcoming plans to Thailand, don’t miss out on these collectables, especially if you are a One Piece fan. 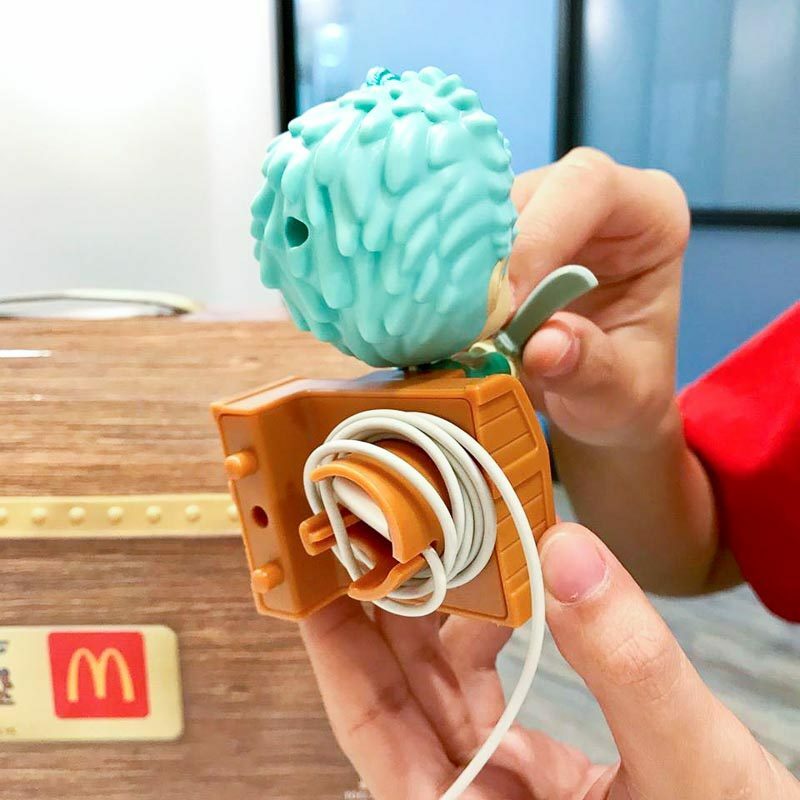 If you are not travelling to the Land of Smiles any time soon, it’s okay, McDonald’s Singapore has mentioned that new items are in the making so keep your eyes peeled!